Nobody needs to tell Americans that breakfast is the most important meal of the day. The statistics tell the story. The consumption of breakfasts and morning snacks is forecast to grow faster than the U.S. population over the next few years, reports The NPD Group, a leading global information company. Total breakfast occasions, in- and away-from-home, are forecast to grow by 5 percent through 2019, ahead of the expected population growth of 4 percent. Annual morning snack occasions per person have increased by 17 percent over the past six years, according to NPD's continual tracking of U.S. eating behaviors. The need for speed, affordability, and portability are the reasons why morning meal traffic, which includes breakfast and morning snack, at traditional quick service restaurants has been growing. In the year ending February 2016, morning meal visits to quick service restaurants increased by 5 percent on top of a 3 percent increase during the same period prior year. The growth in breakfast and morning snack visits shows that quick service restaurants are pushing all of consumers' hot buttons. McDonald's successfully tapped into breakfast's popularity with the launch of its all-day breakfast offering. With convenience the key for restaurant breakfast occasions; foods showing growth are breakfast sandwiches and portable breakfast foods, like yogurt and cereal bars. Even with the strong growth of away from home breakfasts, the majority, 70 percent, of breakfast meals are consumed in the home. The average annual number of breakfast occasions per person in 2015 was 361, up 11 occasions per person from 2010. The motivations behind breakfast are generally convenience, satiation, and healthfulness but these factors can vary by generational group and life stage, according to NPD's recently released NPD generational study. In-home, consumers, particularly young adults, are turning to more involved breakfast foods such as eggs and "traditional" breakfast foods. Better-for you snack foods, like fruit, yogurt, granola bars, are among the top choices for morning snacks. 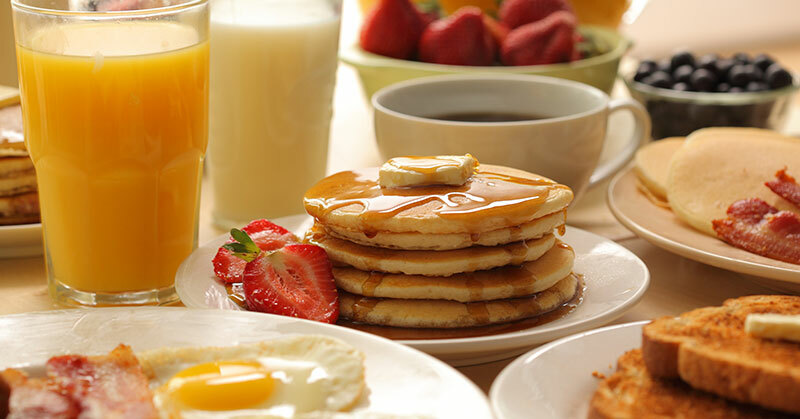 "It's clear by the strong growth in breakfast that it's an opportunity for food manufacturers, operators, and retailers," says David Portalatin, NPD's vice president, food industry analyst. "The best way to tap into the breakfast and morning snack opportunities is to first understand what the consumers' motivations, needs, and wants are based on demographics, life stage, and situation and let this knowledge guide your decision-making."